We are Thomas & Sheena, two New Zealanders who travel full time in search of the best local food. 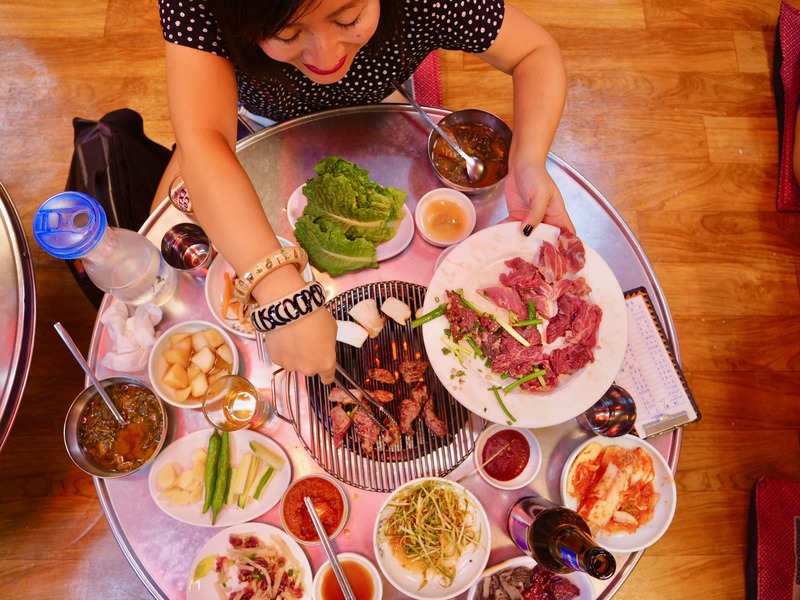 We travel to eat and believe that food is one of the best ways to learn about different cultures and to connect with people. We run a YouTube channel and website called Chasing a Plate in which we share with our audience via video, the written word, and photographs a country's unique food culture. We want to inspire our audience to embark on their own food hunting adventures, to introduce them to new cultures and to show them some damn delicious food! 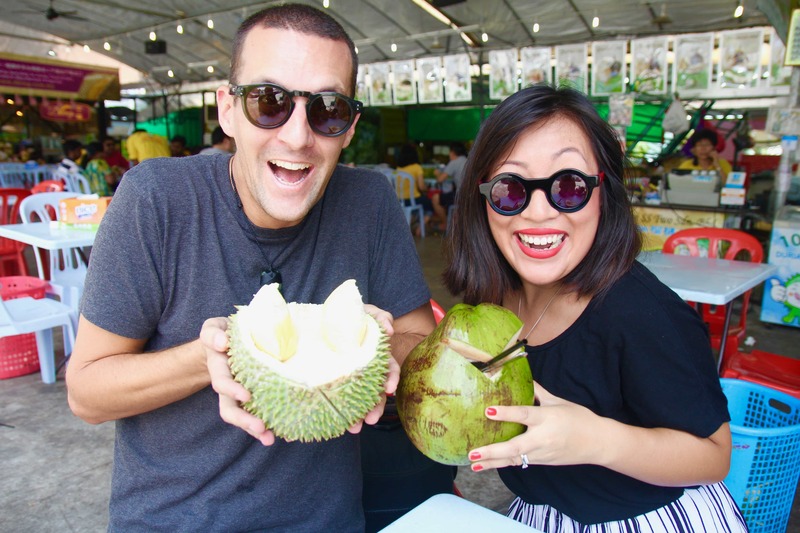 We spend a lot of time in Asia because of the excitement of the street food culture found in places like Malaysia, South Korea, India, and Indonesia. You feel so connected with a place perched on a plastic stool, on the street, tucking into the local food with the sounds and smells of a city all around you. 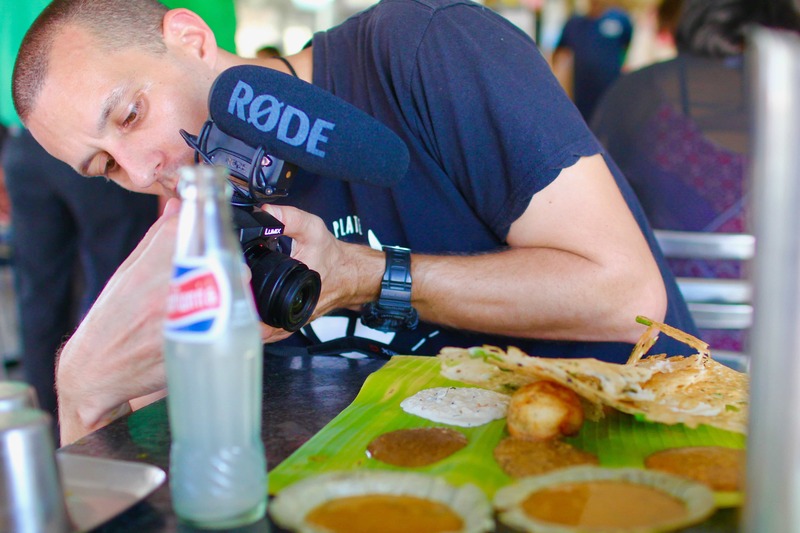 We love this type of local food experience and it's what we try to capture on video to share with our audience. 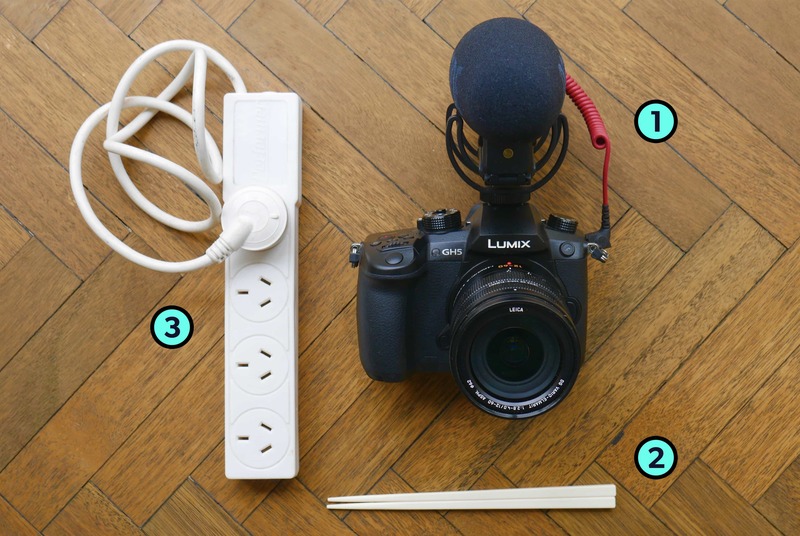 Panasonic Lumix GH5 Camera + Rode VideoMic Pro: As YouTubers our camera is the instrument with which we tell our story. The Lumix GH5 is a beauty- the picture is brilliant, it's got great image stabilization and the slow-mo capabilities for action shots is great. The Rode VideoMic Pro + is a must for us too as we're often filming in loud restaurants or on busy streets. It hones right into the person speaking and cuts down the background noise. Plastic Chopsticks: One-time-use cutlery is really common when eating street food so we like to do our small bit for the environment by using our own where possible. Power Board: As digital nomads we carry a couple of laptops, multiple cameras, and phones and we would be lost without our power board. We use it every day and it means you can charge pretty much everything up at the same time—especially useful if there's only one powerpoint in your hotel room! Packing cells have changed our life. Living out of a suitcase is a breeze when you can compartmentalize all your belongings- no more digging around in your suitcase or pack for that elusive pair of socks! We can't wait for the day when there is free wifi available everywhere so there isn't the hassle of having to get a local sim in each country that we travel. There aren’t any particular items that we miss when we travel but we do miss the opportunity to cook so we guess if anything, it’s our kitchen! They’re not exactly weird but we carry activated charcoal tablets with us whenever we travel. They are an absolute lifesaver to have in your first aid kit for when you have food poisoning or have eaten something which has caused an upset stomach. A country, city, or state’s food scene gives you a great insight into the culture of a place. When you eat local dishes and go where the locals eat you’re exposed to new language, customs, and a different way of life. Which is why we travel right?! Follow Thomas and Sheena's adventures on Instagram!